Jazz with that cool hard Edge. – Wadayasay? Jazz with that cool hard Edge. 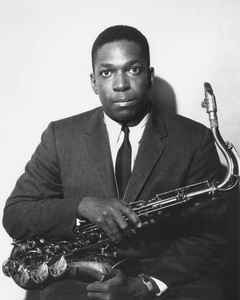 The epitome of cool jazz when I was growing up was John Coltrane on the 8 track in my dad’s 98. I didn’t appreciate him till I got older, his whole thing just wasn’t working for my young pop self. But I got a earful in car rides, Charlie Mingus, Diana Washington, Nina Simone, Jazz Crusaders, he was all about it.